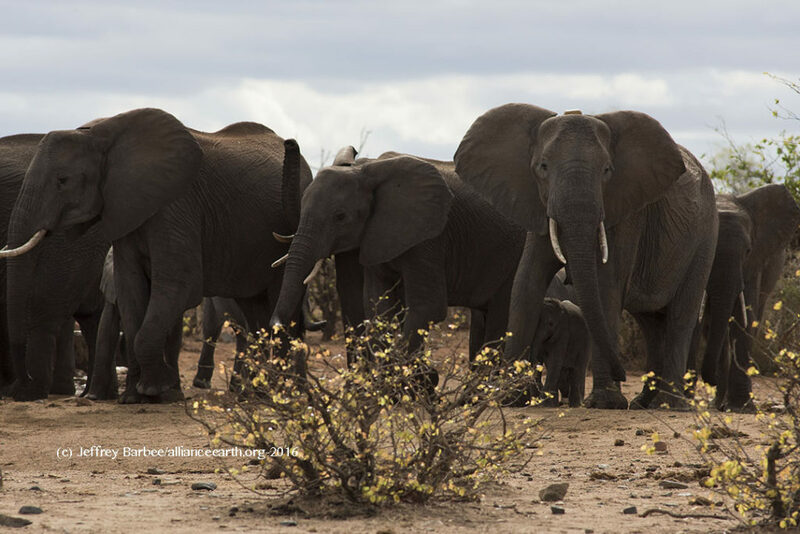 From Tuli Block’s elephants are supported by safari operations that give them thousands of liters of water per day. The baby elephant on the lower right is around 3 month old. 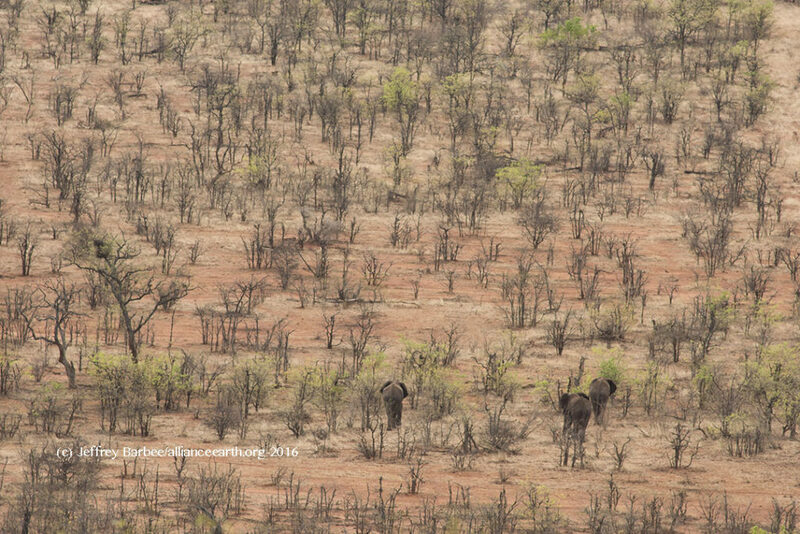 Tuli Block’s elephants have transformed this area, knocking down trees and turning the woodlands into shrub land. Before the rains the dry earth looks battered like this, but after rainfall, lush grasses cover the landscape. 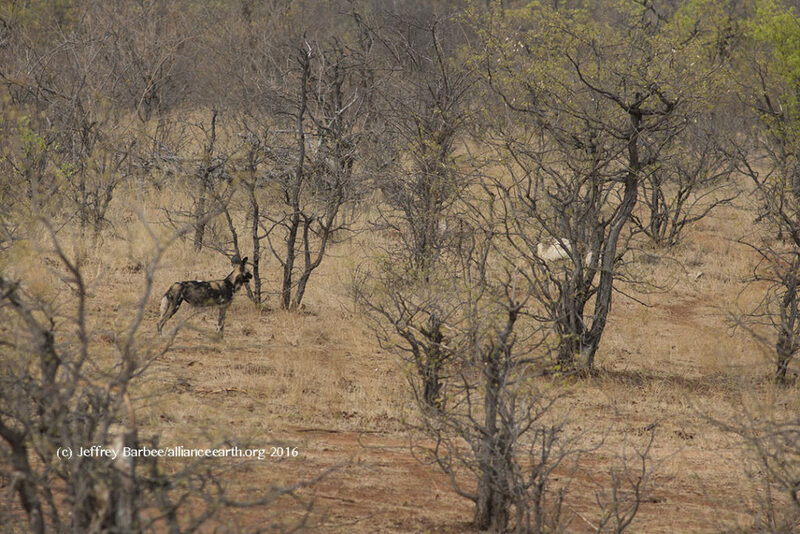 There are only a few thousand wild dogs left on Earth and the Tuli Block is home to an unknown number. These gorgeous animals are often poisoned for predating livestock. A wet Tuli Elephant is a happy elephant. Read another version of this editorial in the Daily Maverick. The Tuli Block in Botswana is one of the most geographically interesting places in Southern Africa. It sits at the corner where Botswana, South Africa and Zimbabwe come together. Many old farms have taken down their fences and jointly manage the incredibly diverse wildlife on this 700 square kilometer stretch of land. Separating it from South Africa is what Kipling called “The great grey green greasy Limpopo river, all set about with fever trees”, and for now this is still the case. We crossed the Limpopo at a small border post that closes when the river is in full flood. The road over the river is a concrete weir that gets over-topped for a few months of the year. When the Limpopo rose in 2013 due to very heavy rains it flooded out a crocodile farm and released some 30,000 of them into the river system. Crocodiles were always prolific here, but this huge influx of new young crocs has helped repopulate them virtually everywhere. From our campsite right on the river at the fantastic Limpopo River Lodge we could see dozens of red eyed crocodiles peering up at us from the sandy river bank and hear the night-time wanderings of passing hippos foraging for grass. One early morning, before the dawn chorus of birds awoke us in our tents, the sound of a leopard on her morning wander passed by. It’s a strange sound that is most akin to a long steel saw, sliding back and forth on a piece of hardwood. The Tuli is unlike the rest of Botswana. Nearby in the Mapungubwe valley is the vast archeological history of one of Africa’s great precolonial city states. Roads stretched from here to the Monomatapa Empire in Zimbabwe. Trade beads found here mark a route of thousands of kilometers from eastern to southern Africa that existed for more than 500 years. For anyone interested in an excellent book that unravels the story of this and other great African city states -and why they disappeared, check out Basil Davidson’s book The Lost Cities of Africa. Banned under apartheid, it is an unparalleled look at Africa’s history and incredible development before the blights of slavery, trade and colonialism. Much of the natural heritage of this area was wiped out by early cattle farmers, but for the last 20 years the fences have come down and strong conservation systems have been put into place. The wild herds have made a huge comeback. 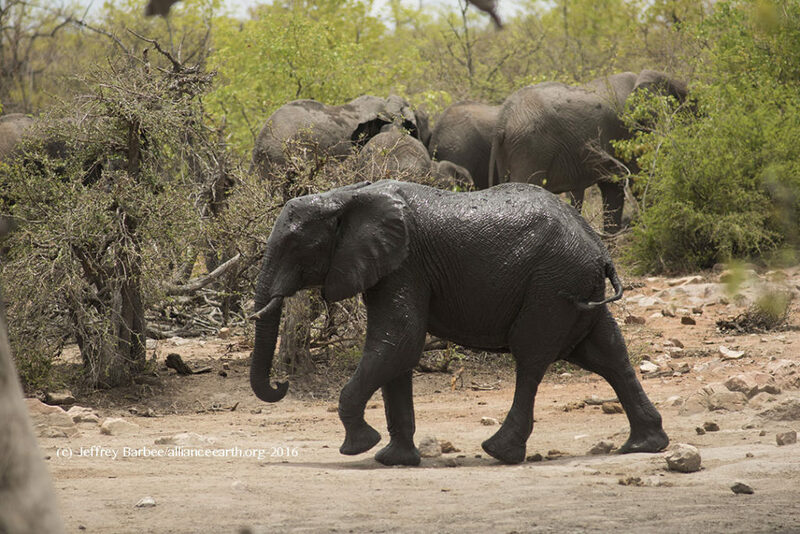 One waterhole at Limpopo River Lodge supplies 40,000 liters of water a day, mostly for the elephants. 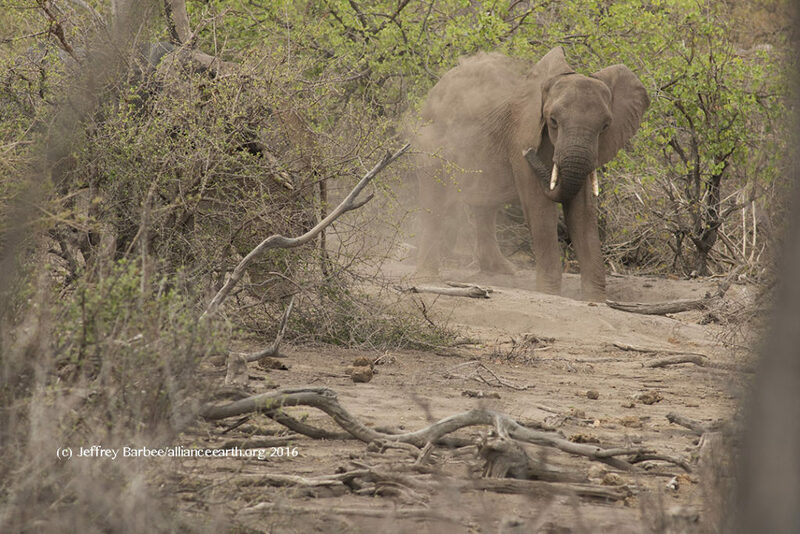 The big dusty pachyderms are everywhere, mud bathing, rolling around, eating the Mopane woodland and ranging free across much of the landscape. The Tuli is under threat again though. Gas and coal concessions have been granted on both sides of the border, with 50 new mines set for approval on the South African side alone. The Limpopo River system is under perpetual drought. When we were there in late November 2016 there was no water in the river except for a few scattered pools, full of waterfowl, hippos and crocodiles all vying for a safe spot to survive. How dozens of new mines will share the water with the animals and the 14 million people that live in this river basin across four countries is still not explained. The biggest coal fired power station on earth is being built less than 100 kilometers away. The Medupi power station and the massive coal mine next to it will keep South Africa from meeting it’s clean energy goals and send up a giant cloud of pollution that may endanger everything in the region. A new free-trade area planned for the Zimbabwe-South African border area will create a massive new damn, steel works and aluminum smelters in what is now a wilderness. Industrialists have already started buying farms and planning the infrastructure that will support the new mines. For now though the ancient riverbed supports millions of migrating birds and the booming sounds of lions echo off the rock cliffs in the late evening. Far from the river we went to visit a small waterhole, supported by Limpopo River Lodge. As we pulled up the hole we inadvertently scared two wild dogs off of their impala kill. They looked at us resentfully from a distance before trotting off. Wild dogs are one of the rarest predators in Africa, and are on the endangered species list. They live in places that are well managed and protected, and to see their gorgeous marking and large rounded ears is a very special experience indeed. The dogs reminded us that the Tuli is wild, gorgeous, and a testament to what we can save if we want to. 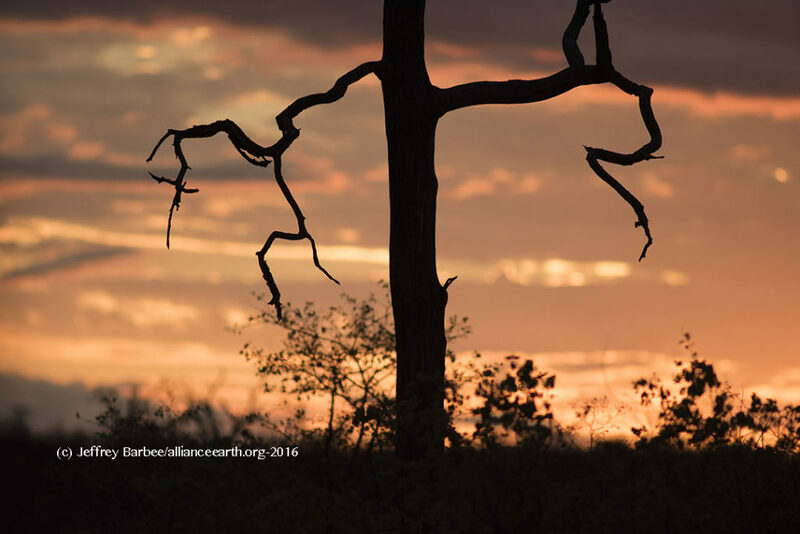 This entry was posted in Climate Change, Editorial, Environment and tagged barbee, block, coal, jeffrey, limpopo, lions, Mapungubwe, medupi, tuli, wild dogs.